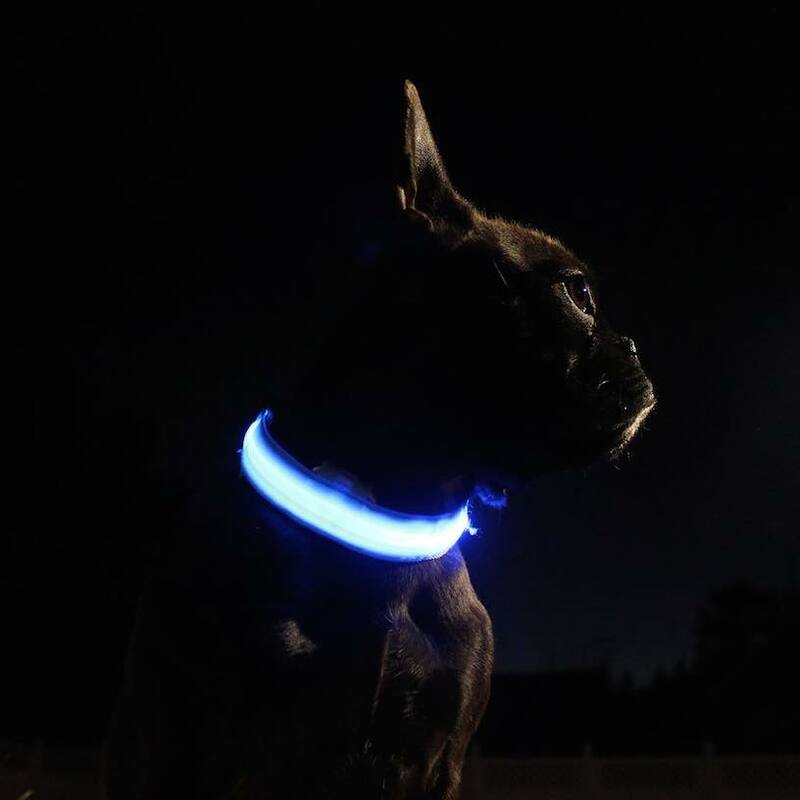 Helps keep you and your pet visible and safe when outdoors in low light. 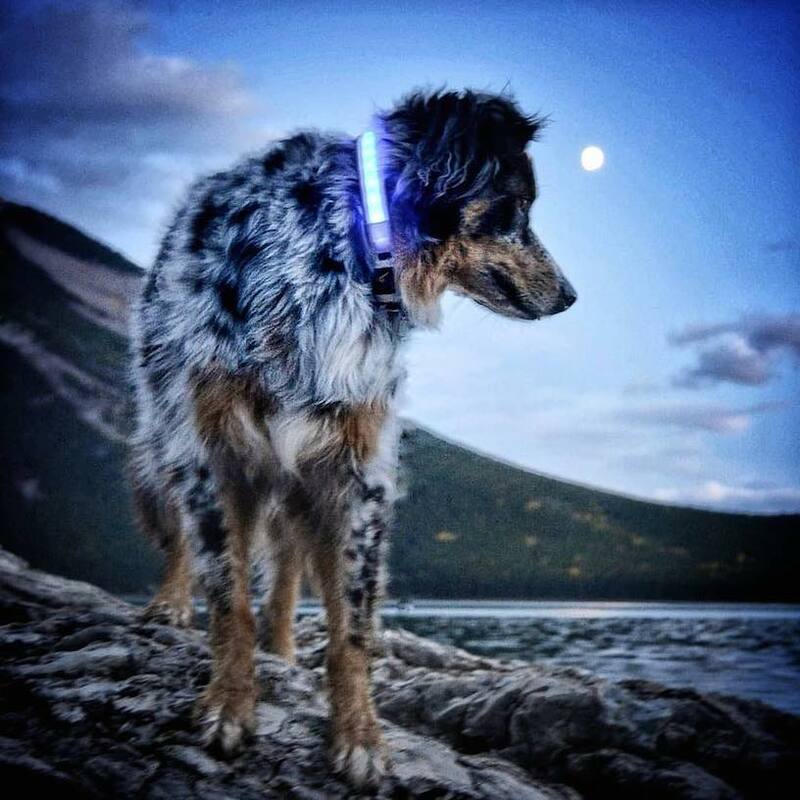 Your furry friend will be seen from all angles, even at night. LED lights provide bright, long-range visibility. Includes 2-button battery. Sturdy, well-constructed design for long lasting use. Non-abrasive nylon collar. 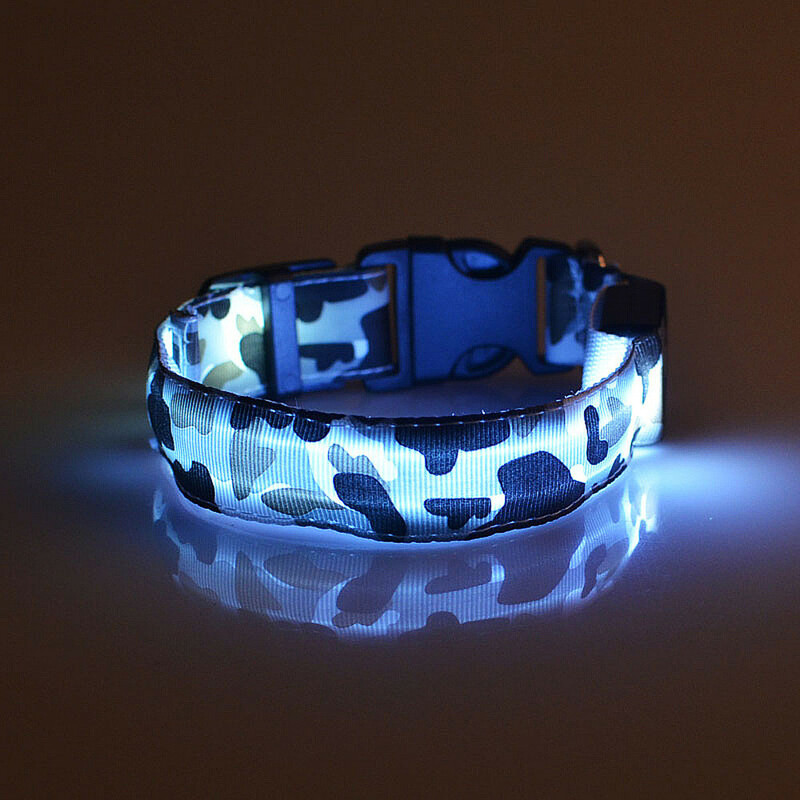 Three adjustable lighting modes: Constant on, fast flash, and slow flash. Versatile. Fun colors and camouflage print adds instant style. 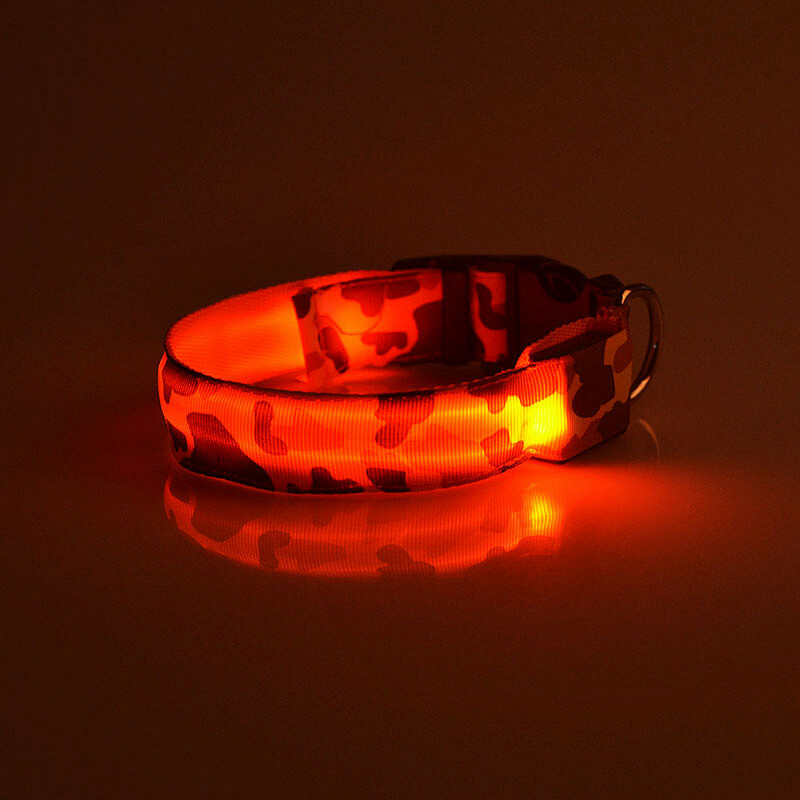 Available in multiple stylish colors. 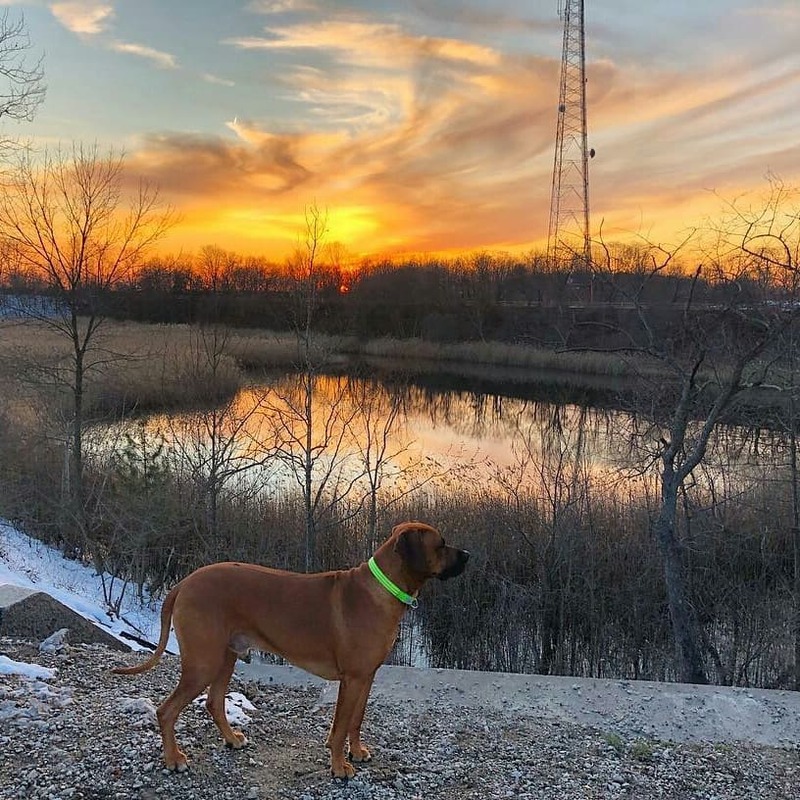 Convenient design can be used as a training collar for new dogs or as an everyday walking collar. Fits most dogs. 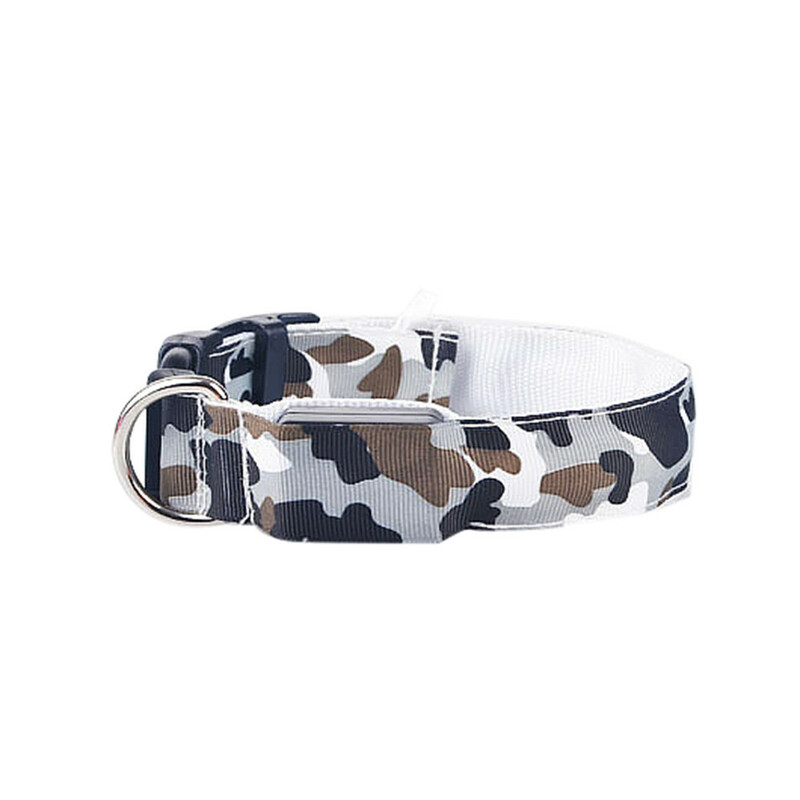 It comes in four different sizes, plus its length is adjustable, so you have some leeway even if you're not sure about the right size for your dog. Convenient. Easy to put on and take off. 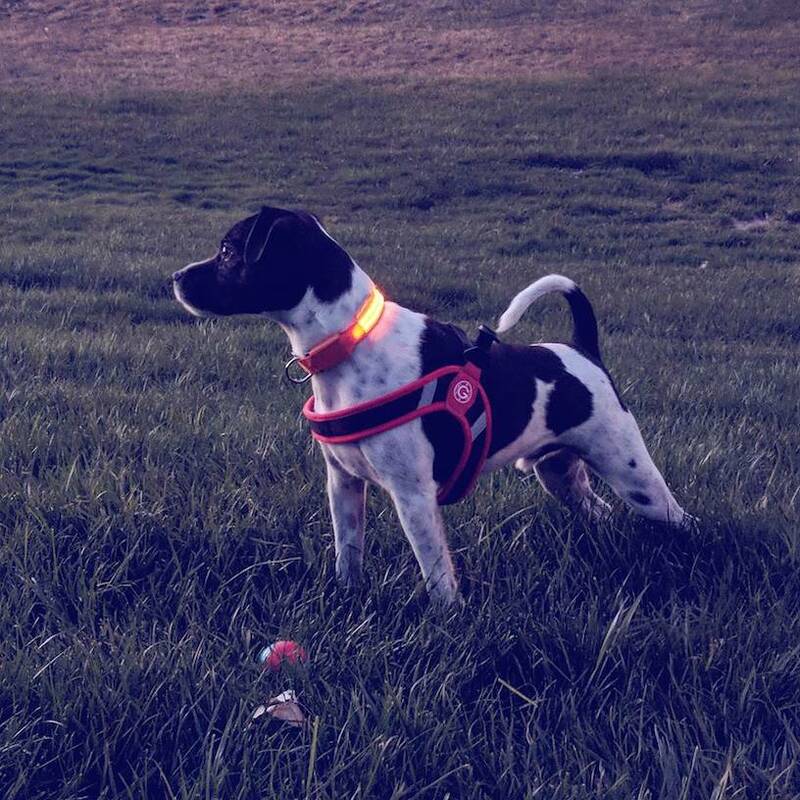 Plastic buckle is perfect for dogs on the go. Quality hardware. 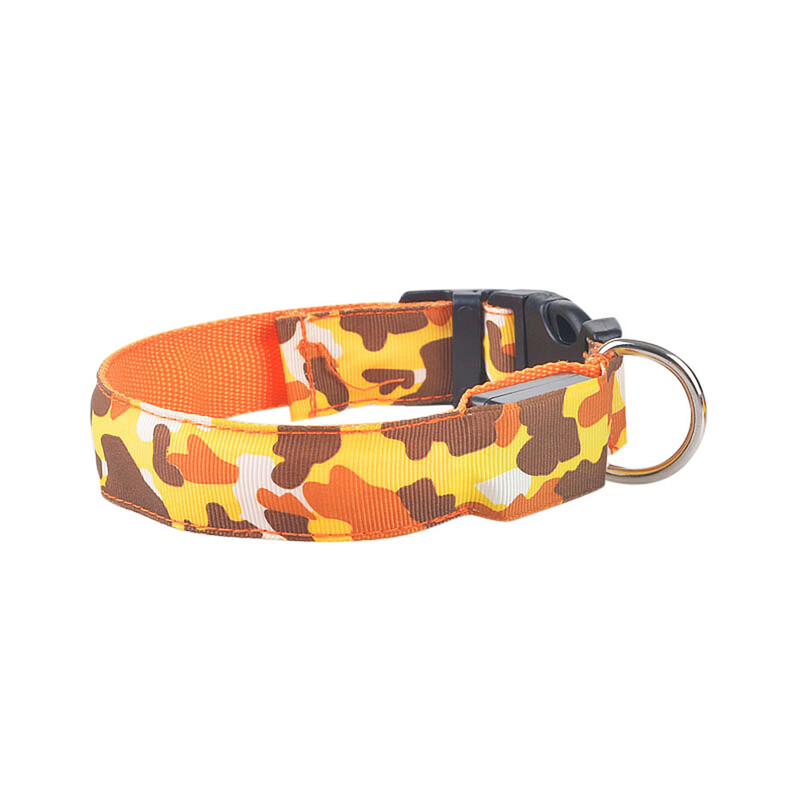 Comes with a heavy-duty D-ring so you can easily attach any leash.